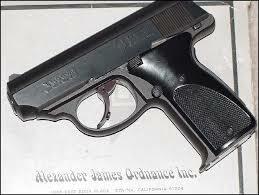 Alexander James Ordnance, Inc. or AJ Ordnance was a firearms manufacturer based in Covina, California. Founded Sept 23, 1959, it was suspended by the California Franchise Board, a tax agency, in 1988. 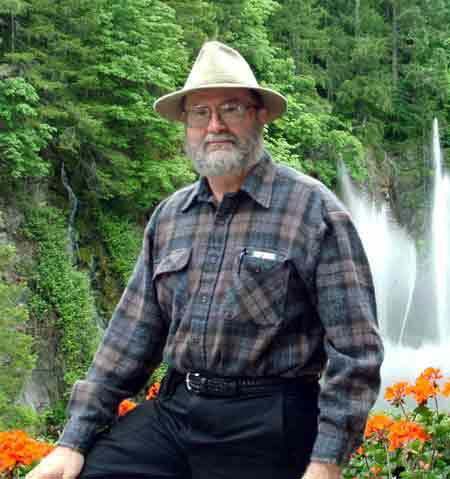 Firearms manufactured included a run of 600 45-caliber semi-automatic pistols on behalf of Frank S. Thomas, Jr. The design somewhat resembles that of a hammerless Makarov PM or Walther PP, only, instead of a straight blowback operation, it utilizes a delayed blowback, by means of dual (both sides) slide-locking levers that are engaged by the grip-safety looking part on the back of the frame. When the part is depressed, the levers on eihter side engage lots in the slide. From there, the pistol is fired by pulling the trigger (DAO), releasing the striker and firing a cartridge. The levers holding the slide from moving are forced down from the recoiling slide (fixed barrel), AKA a delayed blowback operation. 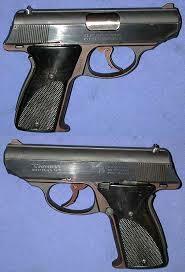 It should also be noted, in the operation of this pistol, that one cannot physically rack the slide with the slide-locking lever grip part depressed. This means, in order to chamber a round, one must have a non-firing grip which does not activate the grip part, then rack the slide. Also, the pistol has a magazine disconnect safety. Finally, the capacity of this pistol, using the factory magazine, is 5+1, even though the magazine can hold 6 rounds of .45 ACP. This is because the rounds in the magazine are pushed down quite a bit when the magazine is locked into the grip of the gun, and with 6 rounds in the magazine, the rounds cannot be pushed any farther down, not allowing the magazine to lock into the grip of the gun.